*NEW 2017 EDITION* When disaster strikes, what will you do? What actually occurs may be very different from what you expect. Even with a plan, you'll need clear and practical advice to help you with initial response and salvage steps. Follow the Field Guide's step-by-step instructions tailored to the scope of your emergency: what to do first, whom to call, how to prevent further damage. Form a response team to deal with multiple tasks, including working with emergency responders, assessing and documenting damage, ensuring health and safety of staff, and setting up a salvage operation. Stabilize your collections with advice from professionals on handing the most common types of damage from water, mold, corrosion, pests, and other threats. Customize handy checklists for your institution and find vital conservation resources. 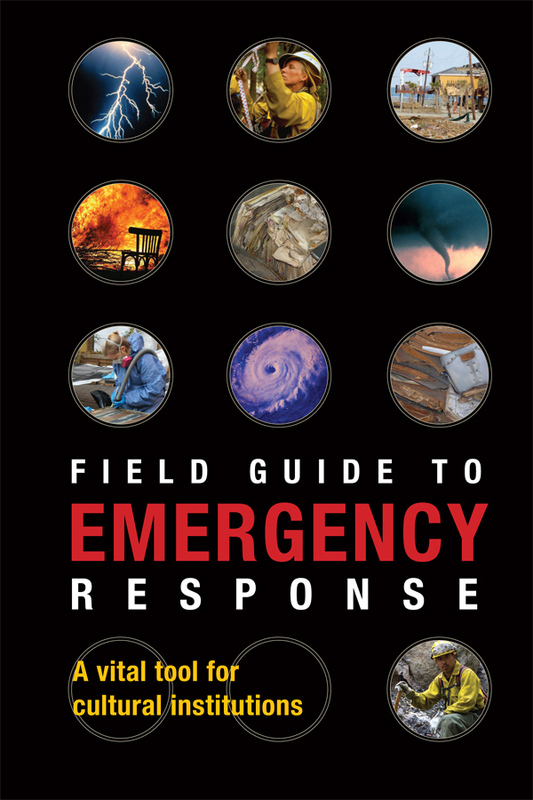 The new 2017 edition of the "Field Guide" includes updated resources and information about making the best of use of current technology in the response and recovery process. The step-by-step instructional videos and helpful forms that were included with earlier editions of the Field Guide can now be accessed online through FAIC's website. This essential 64-page book is spiral bound to lay flat, with sturdy tabs to help you easily find what you need. Trim is 6.5" x 9.5", and can easily fit in a bag or large jacket pocket. More information about FAIC's Emergency Programs can be found at www.conservation-us.org/emergencies.